It is very dangerous when a wound is so common in a culture that hardly anyone knows there is a problem. Such is the case right now with our wounded feeling function- our inability to find joy, worth, and meaning in life. Robert A. Johnson, the celebrated author of 'He, She', and 'We', revisits two medieval tales and illuminates how this feeling function has become a casualty of our modern times. Johnson tells the story of the Wounded Fisher King from the Grail Myth to illustrate the anxiety and loneliness that plague men. 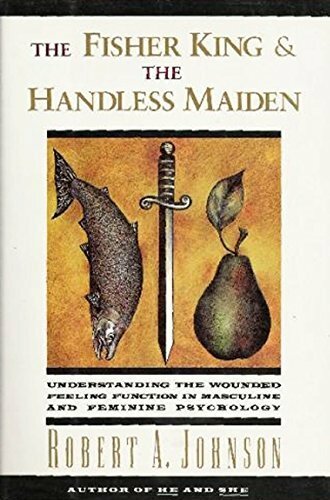 From the folktale of the Handless Maiden, he explains the very different frustrations of women and describes how these disparities in the way we suffer account for much of the tension and miscommunication between men and women. His insightful analysis shows that these two stories, created centuries ago, are even more relevant today. Robert A. Johnson, a noted lecturer and Jungian analyst, is also the author of 'He, She, We, Inner Work, Ecstasy, Transformation', and 'Owning Your Own Shadow'.